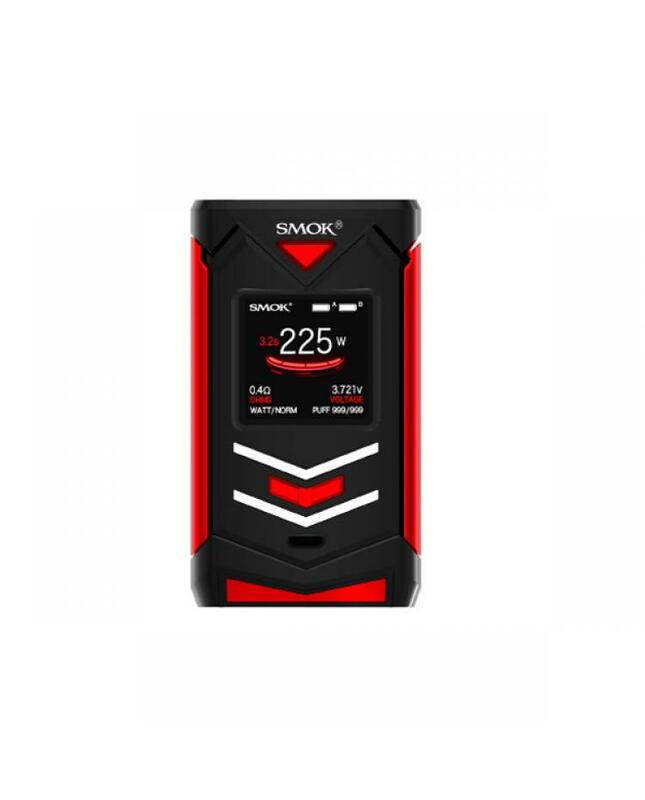 Smoktech Veneno cheap box mods, made of high quality zinc alloy material, with smooth carved lines on the body, which makes the whole mod looks like an unbreakable supercar. the are two LED lights in the front panel and five in the back panel, 12 colors available you can choose your favorite one to enrich your vaping experience. 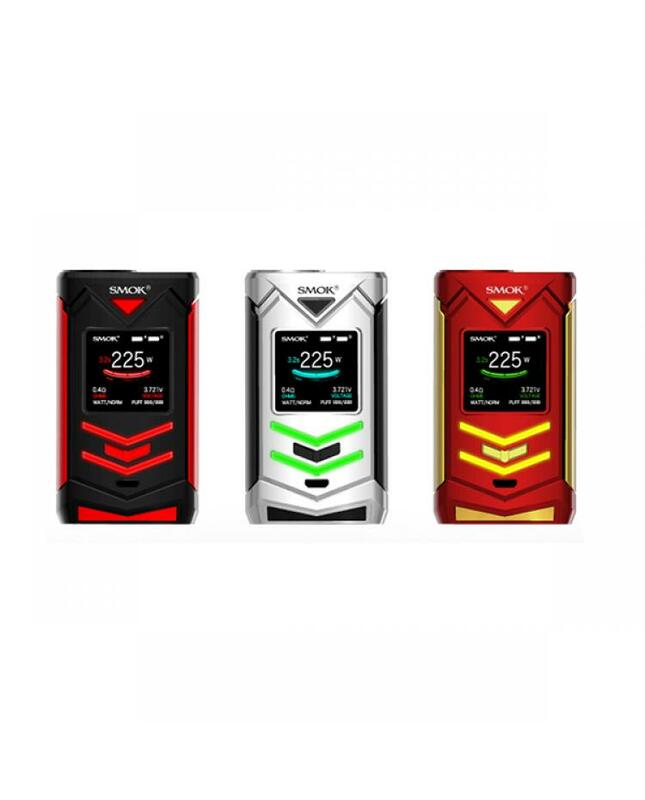 the Veneno box mod with large high-definition OLED screen, with the clear screen you can see detailed vaping data, such as working modes, vaping effect, voltage, battery life, resistance value etc. 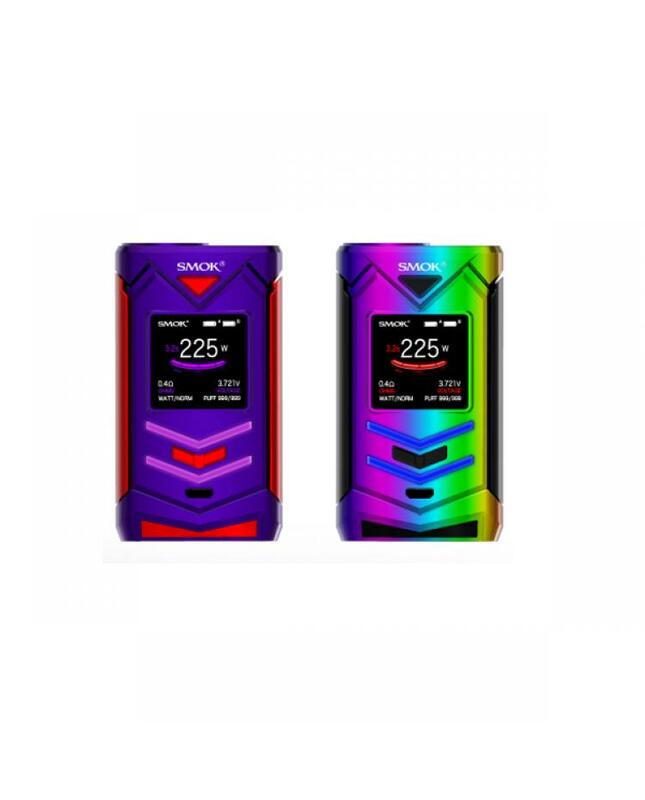 six different colors for screen setting available, the Veneno mod powered by 2pcs 18650 batteries and max output 225watts, supports resistance as low as 0.05ohm under temp control mode, vapers can select the VW mode,TC mode and memory mode, temp mode can enhance the consistency and taste of every puff, watt mode is perfect for cloud chasing, memory mode can be your intelligent vaping partner. veneno also provides multiple types of protections to avoid potential risks. recommend works with TFV8, TFV12, TFV8 big baby or TFV12 prince tanks. will bring you a better vaping experience.